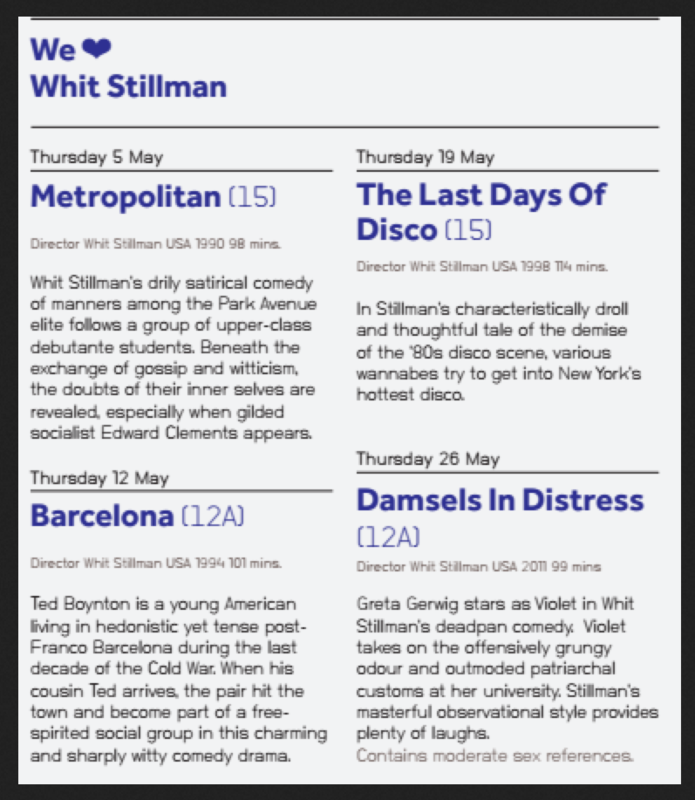 Starting in May, Picturehouse at FACT in Liverpool, UK is having a Whit Stillman Retrospective. Titled We Love Whit Stillman, Picturehouse at FACT is playing all four of his films before the release of Love & Friendship. If you are in Liverpool, be sure to check it out. Be sure to click on the video in the article as well, to hear Brody talk more about Damsels in Distress. Catch Whit Stillman’s Damsels in Distress on Film 4, Wednesday September 24th after midnight, at 1:55am. You might just learn how to do the Sambola! Tagged: Damsels in Distress, Film 4, Greta Gerwig, Sambola! Whit Stillman’s Damsels in Distress plays on OCS on French TV on September 8th.